The Marcy Chamber of Commerce is hosting its fifth annual Business Beautification contest open to any Marcy area company that registers to participate. The top three businesses, selected by a committee of Chamber members, will receive a certificate acknowledging their commitment to improve our community. The businesses will also be officially recognized at the Marcy Chamber’s Installation Dinner in January 2014. Here’s how the contest works: Spruce up your property by painting, planting or just picking up a bit to make your business look nicer. Or perhaps, your work site is already in award-winning shape and no additional effort is needed. Contact the Marcy Chamber of Commerce and asked to be considered for judging. Kaitlyn graduated from MVCC and plans to attend SUNYIT in the fall. 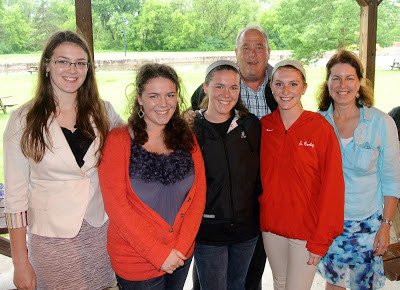 Kaityln (far left) and her family.